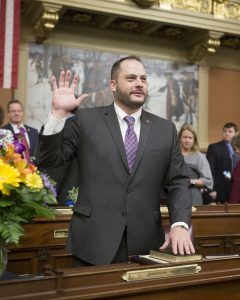 Rep. Jonathan Fritz (above) joined his colleagues in taking the oath of office for the 2019-20 Legislative Session. 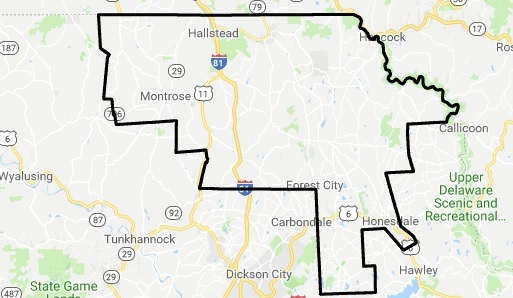 This marks the beginning of his second term as the 111th Legislative District’s state representative. Rep. Jonathan Fritz (Susquehanna/Wayne) begins his second term as the state representative of the 111th Legislative District after being sworn in with his House colleagues on New Year’s Day. Montrose, and Honesdale, 32 Commercial Street, Suite 300, at the Wayne County Visitor’s Center. The offices are open Monday through Friday from 8:30 a.m. to 4 p.m. If anyone should have any state-related issues or concerns, they can contact these offices at 570-278-3374 or 570-253-5533, respectively.